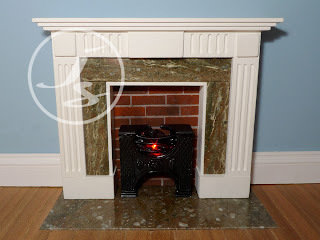 After a bit of trial and error with the prototype I have upgraded my Georgian Fireplace to a working fireplace with metal hob grate and real coal fire. It is lit with an LED bulb which gives it a very effective glowing embers look - the photo doesn't really do it justice! 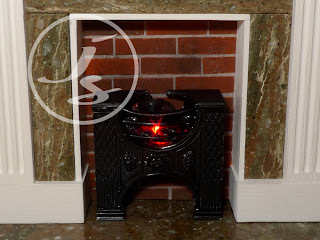 LED's are very bright, last thousands of hours and produce virtually no heat making them perfect for miniature fireplaces. No worrying about replacing the bulb or dodgy connections though I do hate those little plugs for the socket strips. Fiddly to wire up and the connections always seem a bit dodgy, but they work I guess. It's designed for a standard 12v supply. 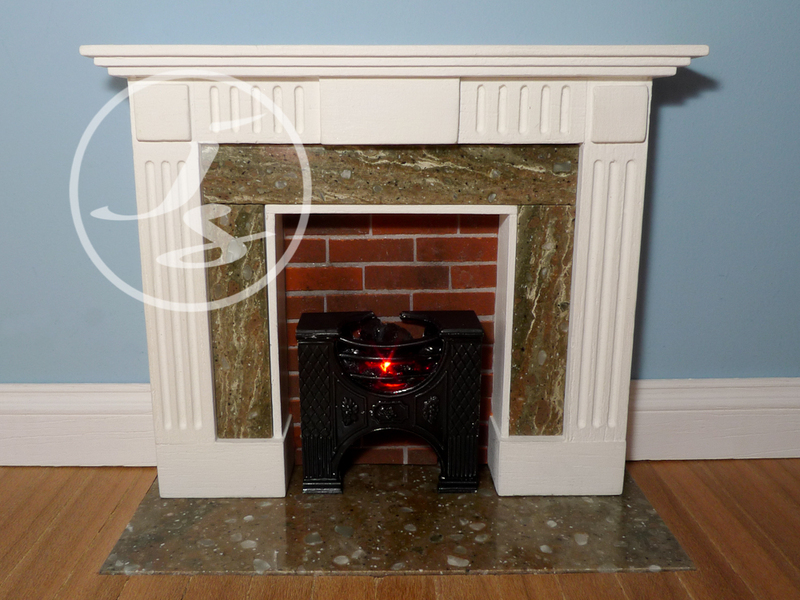 The fireplace is available as a self assembly kit or as a ready made fireplace. The small hob grate is also available separately if you already have a fireplace.